The following incidents have been listed by Athens County Crime Solvers Anonymous as October 2016 Crimes of the Month. On November 17, 2016, the Athens Police Department responded to the victim’s residence where he provided details of being robbed. On this date near 3:30 AM, the victim stated he was walking around the uptown area (S Court St) when he was approached by two black males, one wearing a red jacket and the other one wearing a gray one. The victim stated one of the black males brandished a pocket knife and ordered him to provide them his valuables. The victim fled the area after being physically assaulted. 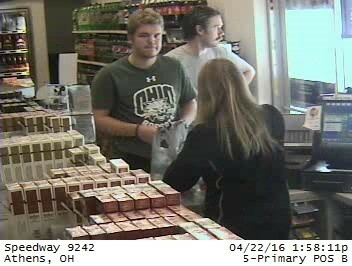 The Ohio University Police Department is requesting your information pertaining to a Theft from Campus. The Athens Police Department is requesting your information pertaining to several Breaking and Enterings which occurred within the City of Athens. On August 10, 2016, three separate businesses on E State St were forcibly entered. El Camino restaurant located at 1017 E. State St. 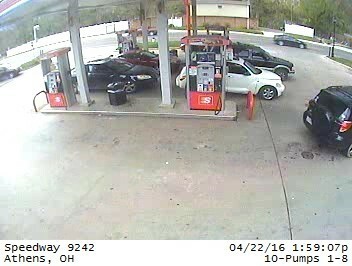 It appears the person or persons involved in these incidents focused on areas where cash is commonly found. On August 24, 2016, and also on September 2, 2016, two other businesses were forcibly entered. In both instances, the suspect or suspects broke the glass door in order to make entry into the business and then stole cartons of cigarettes. Based on video surveillance, the vehicle being driven by the suspect is a 2010-2013 Subaru Legacy and it is believed to be blue. This black-and-white image is of the suspect vehicle in the breaking and entering of both the Valero and BP gas stations. The vehicle did not have a front license plate. The vehicle did have a rear deck lid spoiler with an integrated brake light. 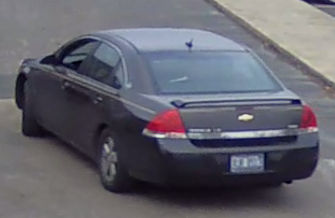 The Ohio University Police Department, along with the Athens and Nelsonville Police Departments are requesting your information pertaining to several stolen vehicles which have occurred in all three jurisdictions. Between September 8 and September 15, 2016 a 2003 silver Jeep Wrangler was stolen from Lot 154 on W. Union Street in Athens. August 3, 2016 1997 a maroon Nissan Sentra was stolen from the area of E. Carpenter St.
August 12, 2016 a 2001 gray Honda Civic was stolen from the area of Athens Gardens Apts. August 12, 2016 a 2004 gray Toyota Corolla was stolen from the area of Mill St.
August 13, 2016 a 2002 blue Jeep Wrangler was stolen from the area of Carriage Hill Apts. On June 20, 2016 2007 a light green Toyota Corolla, along with a 2001 dark green Dodge Durango were stolen from the area of Blair Ct.
On July 28, 2016 a 1998 red Jeep Cherokee was stolen from the area of Rocky Shoes and Boots lot. On August 4, 2016 a 1994 dark green Toyota Camry was stolen from the area of E. Canal St. It should be noted that in many of these incidents either the keys were left in the vehicle or the ignition switch was in a state of disrepair. Residents are reminded to properly secure their vehicles, not to leave any valuables inside them, and to keep possession of the keys. 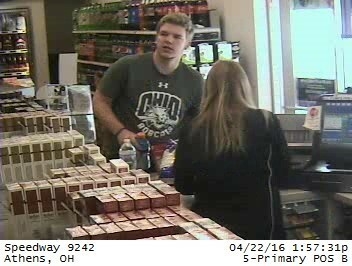 The Athens and Nelsonville Police Departments are requesting your information pertaining to several transactions involving Counterfeit Money which have occurred in both jurisdictions. On or about July 26, 2016, several businesses in Athens received counterfeit $100 bills as payment for merchandise. 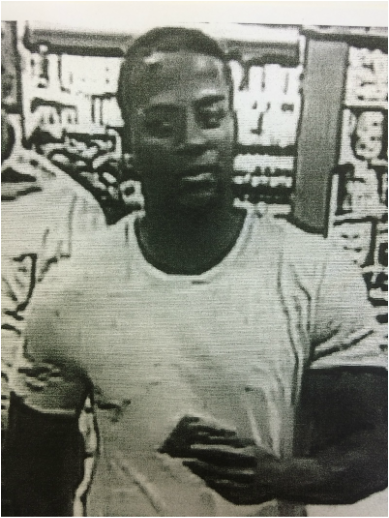 A witness indicated that the black male passing the counterfeit bills spoke with a distinctive accent. The Nelsonville Police Department received a similar complaint regarding the use of counterfeit money. In this incident, a black male using a counterfeit $50 bill purchased food in the drive-thru of the Nelsonville Burger King. It is not known at this time if the incidents in Athens are related to the one in Nelsonville. Following are images of suspects and vehicles related to the counterfeit $100 bills in Athens, Ohio. The Athens County Sheriff’s Office is requesting your information pertaining a Breaking and Entering in Athens County. On or about May 31, 2016, an unknown person or persons forcibly entered the Carthage Township equipment garage located at 5600 Bean Cemetery Rd. After gaining access to the garage, a large number of tools were stolen. Residents in the area heard what they believed to be a loud truck leaving the garage during the early morning hours. The following incidents have been listed by Athens County Crime Solvers Anonymous as September 2016 Crimes of the Month. The Athens Police Department is requesting your information pertaining to several criminal acts which occurred within the City of Athens. On July 11, 2016, near 4:00 AM, Broney’s Alumni Grill, located at 7 W. Carpenter St., and Red Brick Tavern, located at 14 N. Court St, were illegally entered. A large-framed black male, who was captured on video surveillance, forcibly entered the establishments and stole various items. On or about July 26, 2016, several businesses in Athens received counterfeit $100 bills as payment for merchandise. A witness advised the black male passing the counterfeit bills spoke with a distinctive accent. Along with the Athens Police Department receiving complaints of counterfeit money being introduced into circulation, the Nelsonville Police Department received a similar complaint. In this incident, a black male using a counterfeit $50 bill, purchased food in the drive-thru of the Burger King in Nelsonville. It is not known at this time if the incidents in Athens are related to the one in Nelsonville. On August 10, 2016, three separate businesses on E State St were forcibly entered. Rue 21 located at 743 E. State St, Suite A, Marasco Family Chiropractic located at 1013 ½ E State St, and the El Camino restaurant located at 1017 E. State St. were all illegally entered. It appears the person(s) involved in these incidents were focused on areas where cash is commonly found. The Athens and Nelsonville Police Departments are requesting your information pertaining to several stolen vehicles which have occurred in both jurisdictions. August 3, 2016 1997 maroon Nissan Sentra stolen from the area of E. Carpenter St.
August 12, 2016 2001 gray Honda Civic stolen from the area of Athens Gardens Apts. August 12, 2016 2004 gray Toyota Corolla stolen from the area of Mill St.
August 13, 2016 2002 blue Jeep Wrangler stolen from the area of Carriage Hill Apts. June 20, 2016 2007 light green Toyota Corolla, along with a 2001 dark green Dodge Durango were stolen from the area of Blair Ct.
July 28, 2016 1998 red Jeep Cherokee stolen from the area of Rocky Shoes and Boots lot. August 4, 2016 1994 dark green Toyota Camry stolen from the area of E. Canal St.
On or about May 31, 2016, unknown person(s) forcibly entered the Carthage Township equipment garage located at 5600 Bean Cemetery Rd. After gaining access to the garage, the person(s) stole a large amount of tools. Residents in the area heard what they believed to be a loud truck leaving the garage during the early morning hours. The Following incidents have been listed by Athens County Crime Solvers Anonymous as August 2016 Crimes of the Month. On July 11, 2016, near 4:00 AM, Broney’s Alumni Grill, located at 7 W. Carpenter St., and Red Brick Tavern, located at 14 N. Court St, were illegally entered. 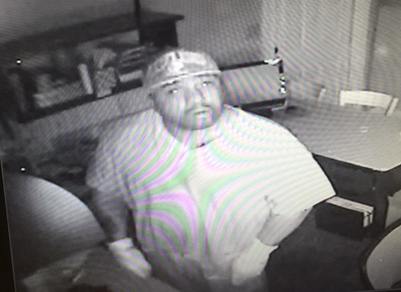 A large-framed black male, pictured below, who was captured on a video surveillance, forcibly entered the establishments and stole various items. The following incidents have been listed by Athens County Crime Solvers Anonymous as July 2016 Crimes of the Month. On June 2, 2016, at 3:05 AM, the Athens Police Department received a call of an activated intrusion alarm at Cheap Tobacco, which is located at 906 E. State St. The officers arrived to discover the building had been forcibly entered but no one was found inside. It was later determined two males were involved in the breaking and entering. 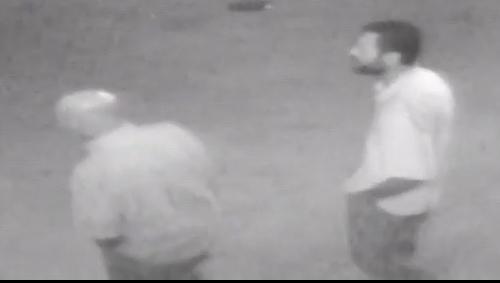 Following are images of the two suspects. The Athens Police Department is requesting your information pertaining to three criminal acts, connected by DNA, which occurred within the City of Athens. The Athens, Ohio Police Department is actively investigating three separate but related violent assaults which took place in Athens between 2006 and 2015. 1a) On June 20, 2015, at approximately 2:00 AM, a female was walking home from the uptown area. As she walked through the parking lot at the rear of 19 E. Carpenter St, an unknown suspect approached her from behind and attempted to sexually assault her but was scared away by others walking in the area. DNA evidence obtained as a result of the investigation was submitted to the Ohio Bureau of Criminal Investigation for analysis. The results of the analysis showed the suspect from the 2015 assault was the same suspect that had been identified by DNA in a sexual assault reported in 2006. 1b) In the 2006 incident, a female victim was also walking home from the uptown area when she noticed an unknown white male following her. After arriving at her home, the suspect illegally entered the victim’s home and forcibly raped the victim and then fled the scene. The victim described the suspect as being 5’08” to 5’10” tall, weighing 130 to 150 pounds, with short light-colored hair. This description is very similar to the description provided by the victim of the 2015 incident. 1c) The third incident occurred in December of 2015. Again, the nature of the assault is similar to the prior incidents. We are seeking information on the suspect who is described as a white male in his late twenties to early thirties, 5’8” to 5’9” tall, and weighing approximately 160 pounds. Composite images of the suspect are displayed below under April 2016 Crimes of the Month. The Athens Police Department is requesting your information pertaining to the following incident. 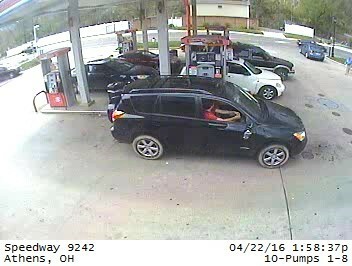 A male suspect driving a Black Toyota Rav4 was seen passing $100 counterfeit bills at the Speedway on Richland Avenue. Images are of the suspect and the vehicle he was driving are listed below under May 2016 Crimes of the Month. The following incidents have been listed by Athens County Crime Solvers Anonymous as May 2016 Crimes of the Month. 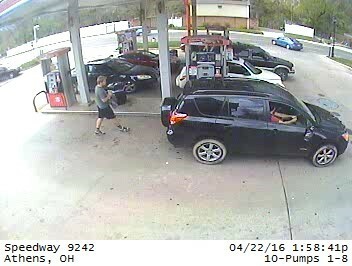 Images of the suspect are shown below under April 2016 Crimes of the Month. The Athens and Nelsonville Police Departments are requesting your information pertaining to multiple restaurant breaking, entering, and robberies. The following restaurants were forcibly entered and similar items were taken from each one. A male suspect driving a Black Toyota Rav4 was seen passing $100 counterfeit bills at the Speedway on Richland Avenue. 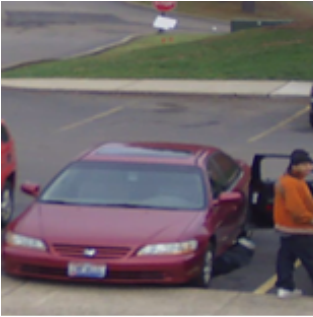 The following images are of the suspect and the vehicle he was driving. The following incidents have been listed by Athens County Crime Solvers Anonymous as April 2016 Crimes of the Month. 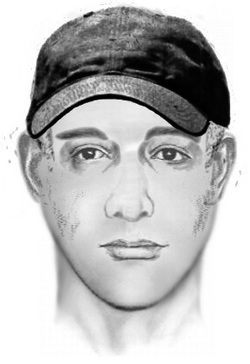 This composite drawing was developed by the victim of the 2015 incident. 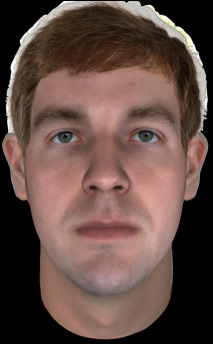 The following two images were developed by Parabon-Nanolabs using DNA samples from the suspect. If you have any information related to these three incidents or know the identity of the suspect, please provide it to the Athens Police Department. The following incidents have been listed by Athens County Crime Solvers Anonymous as March 2016 Crimes of the Month. We are seeking information on the suspect who is described as a white male in his late twenties to early thirties, 5’8” to 5’9” tall, and weighing approximately 160 pounds. 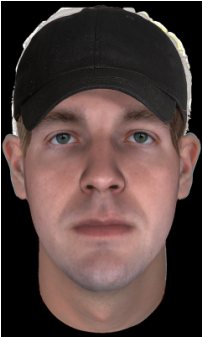 The attached composite was developed by the victim of the 2015 incident. If you have any information related to these two incidents or know the identity of the suspect, please provide it to the Athens Police Department. The following incidents have been listed by Athens County Crime Solvers Anonymous as February 2016 Crimes of the Month. The Athens, Ohio Police Department is actively investigating two separate but related violent assaults which took place in Athens between 2006 and 2015. On June 20, 2015, at approximately 2:00 AM, a female was walking home from the uptown area. As she walked through the parking lot at the rear of 19 E. Carpenter St, an unknown suspect approached her from behind and attempted to sexually assault her but was scared away by others walking in the area. In the 2006 incident, a female victim was also walking home from the uptown area when she noticed an unknown white male following her. After arriving at her home, the suspect illegally entered the victim’s home and forcibly raped the victim and then fled the scene. The victim described the suspect as being 5’08” to 5’10” tall, weighing 130 to 150 pounds, with short light-colored hair. This description is very similar to the description provided by the victim of the 2015 incident. The next incident pertains to a burglary which occurred on January 24th, 2016 at approximately 7:00 PM. The residents of 120 University Estates Blvd returned home to find a broken window and the item used to break it. A short time before the incident was discovered, other residents in the area noted two white males, approximately 40 years old, medium builds, 5’8” to 6’0” tall with brown hair and one of the males having a mustache and beard. These two males were approaching houses and asking residents if they needed their sidewalks or driveways cleared. The victim did state he had observed an older model pickup truck in the area earlier in the day. The following incidents have been listed by Athens County Crime Solvers Anonymous as January 2016 Crimes of the Month. During the early morning hours of October 25th, 2015, an individual explained that he was walking on W. Union St and that was the last memory he could recall. When he awoke in front of the Smiling Skull, the victim was covered in blood and several of his personal belongings had been stolen. The victim required medical treatment as a result of the incident. A possible suspect in this incident is shown in the following photos. Tri-County Joint Vocational School, Carpentry Class is in the process of constructing a house at 756 Lake Hope Dr. Over the weekend, on or about October 23rd, 2015, the perpetrator(s) forcibly entered a box trailer parked at the site and stole all of the power tools. On November 18th, 2015 at approximately 3:00 AM, the residents of 16047 Elm Rock Rd. Apartment #3, advised they were awakened by a thinly-built male who had forcibly entered their residence. After the residents began to scream, the male fled the residence, stealing an undisclosed amount and type of prescription medication.